Corn syrup is a food syrup, which is made from the starch of corn and contains varying amounts of maltose and higher oligosaccharides, depending on the grade. Corn syrup is used in foods to soften texture, add volume, prevent crystallization of sugar, and enhance flavor. Corn syrup is distinct from high-fructose corn syrup, which is manufactured from corn syrup by converting a large proportion of its glucose into fructose using the enzyme xylose isomerase, thus producing a sweeter compound due to higher levels of fructose. The more general term glucose syrup is often used synonymously with corn syrup, since glucose syrup is in the United States most commonly made from corn starch. Technically, glucose syrup is any liquid starch hydrolysate of mono-, di-, and higher-saccharides and can be made from any source of starch; wheat, tapioca and potatoes are the most common other sources. Corn syrup is an equivalent substitute for sugar syrup. 1.Corn syrup's major uses in commercially prepared foods are as a thickener, a sweetener and as a humectant – an ingredient that retains moisture and thus maintains a food's freshness. 2. Cane sugar quotas raise the price of sugar; hence, domestically produced corn syrup and high-fructose corn syrup are less expensive alternatives that are often used in American-made processed and mass-produced foods, candies, soft drinks and fruit drinks to help control cost. 3. Corn syrup is sweeter and more soluble. 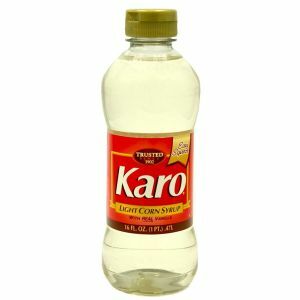 Corn syrup is also available as a retail product. 4. If mixed with sugar, water and cream of tartar corn syrup can be used to make sugar glass.